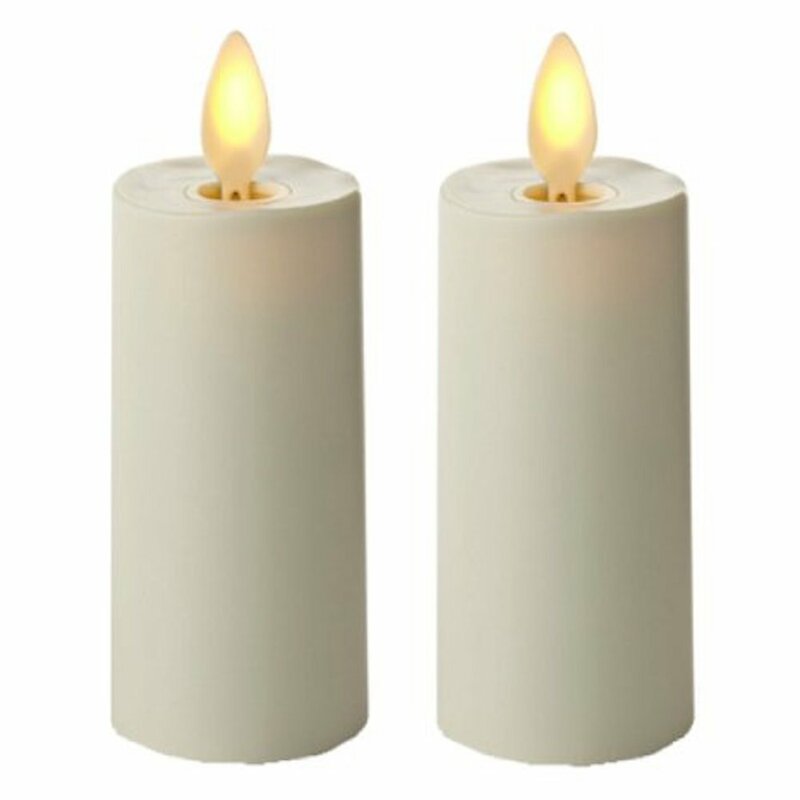 Home › Luminara Votive Candle Set Of 2 Ivory Moving Wick Candles 1.5" X 3" With Time..
Luminara Votive Candle Set Of 2 Ivory Moving Wick Candles 1.5" X 3" With Time..
Use in any setting: table top, mantel, window sill, bedside, bathtub. Create any atmosphere: romantic, festive, inspirational, cheery, comforting. At any season! These votives may be plastic but it's really hard to believe they're not traditional burning wax candles. Built-in timer is 5 hours on/19 hours off. Each candle requires 2 AA batteries (not included). Candles measure 3-in high x 1.75-in diameter. Indoor use recommended. Luminara is the original flameless candle with a flickering wick. It realistically and convincingly replicates the look of an old-fashioned burning candle. Because there is no risk of fire, these votives can be safely placed anywhere without the worry or risks associated with real candles. Additionally, they can be controlled remotely, allowing for placement even in hard to reach spots. These candles were developed and patented by Disney and are in use throughout its parks and movie sets.